Foraging and sourcing locally through the eyes of Chef Jim Ophorst. Being a resort island, Phuket’s international restaurants and hotels have traditionally accommodated to ‘resort town’ tastes like lobster flown in from Maine accompanied by a selection of European wines. 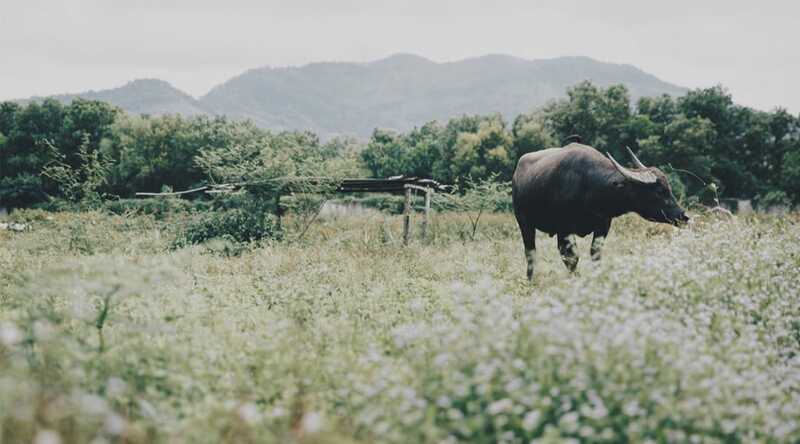 Recently a movement of like-minded people have set in motion the process of change in how the local hospitality industry value food, leading to more ecological meals that benefit an entire network of small scale producers in the region. Chef Jim Ophorst of PRU restaurant. Photo credit: Angie Thien. Chef Jim Ophorst of PRU restaurant in Trisara is a leading voice of change in Phuket. After training in Gaggan’s kitchen in Bangkok, Chef Jim decided to move away from modern cooking techniques and focus on what was closest to him - a creation of a 100-percent locally sourced menu. 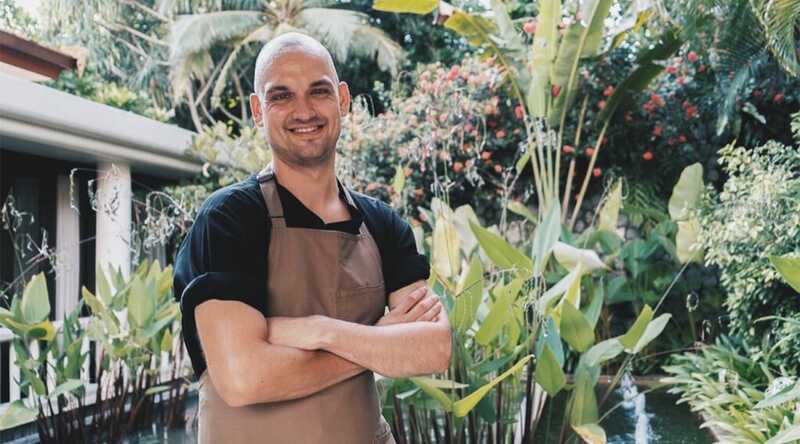 The Dutch chef and his team then spent nearly 10-months educating themselves on rare produce from the lush jungles, coasts and oceans of Phuket. Produce is grown for the restaurant at Pru Jumpa Farm. Photo credit: Angie Thien. In his arsenal was a stretch of resort owned land which would become Pru Jumpa Farm, where Chef Jim began sowing seeds. The farm today produces cucumbers, carrots, tomatoes, limes and herbs with plans to rotate crops in the near future. 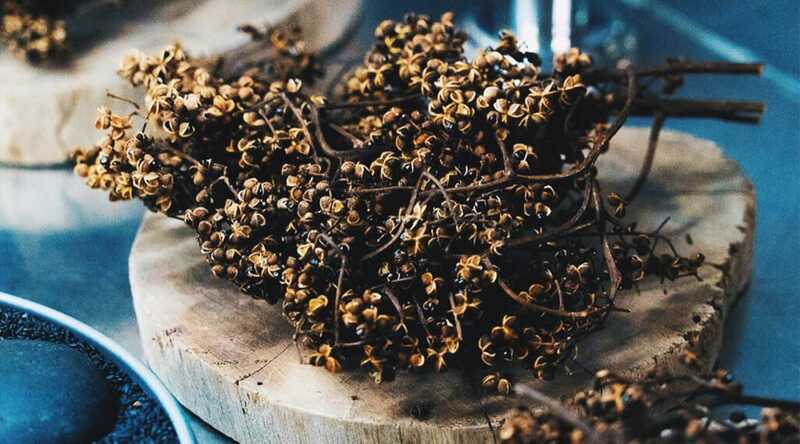 Pru Jumpa’s surrounding jungles are ripe foraging ground for ‘dok dhala’ (ginger flower), ‘taling pling’ (bilimbi), wild mushrooms and a variety of ingredients few have seen on a dining room plate. Foraged herbs are used in the dishes and as part part of the presentation. Photo credit: Angie Thien. “I try to eat everything I find, and consider how it can be perfected,” he says scrolling through his phone. Chef Jim pulls up photos sent by one of his suppliers, a woman who seeks uncommon ingredients in the northern provinces. “This is ‘pak kee hood’,” he says while holding the image of a pod-vegetable. Not commercially farmed, it is sometimes called Thai wasabi for its inertly peppery taste. The Chef also receives instant messages from local fishermen who send him digital photos of line-caught sea bass and cobia fish. It is a very tech-savvy way to break physical and linguistic barriers between chef and supplier. Phuket abalone smoked over longan wood. Photo courtesy of PRU restaurant. “I asked if I could eat it and they said no because it was grown in concrete basins as abalone feed. We worked with the suppliers to grow it in special basins for human consumption,” said Chef Jim. 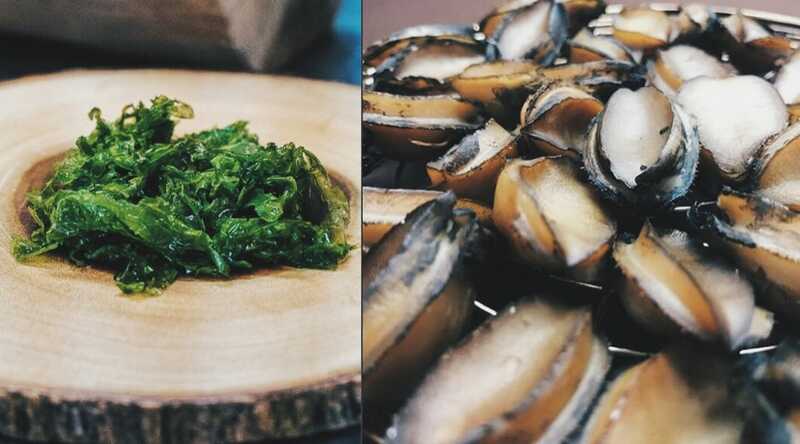 The Phuket-grown sea lettuce is notably more delicate compared to those found in the cold waters of Japan and Europe, but when dried it still packs a punch of umami. 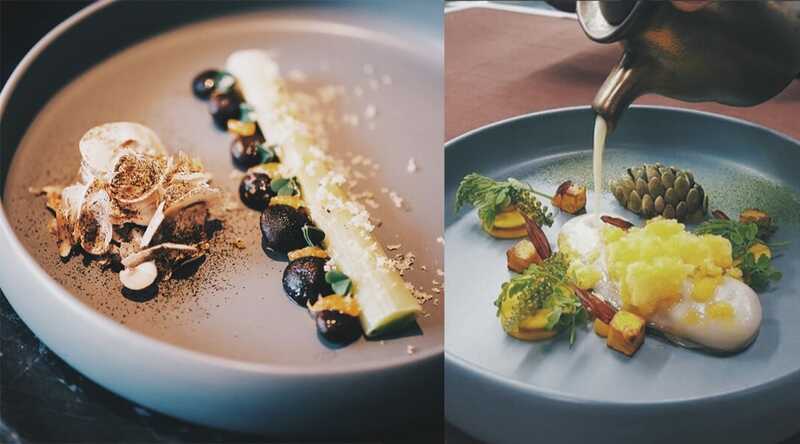 A dish using foraged mushrooms and "black" leek (left). A creation of foraged herbs and Phuket sea grapes (right). Photo courtesy of PRU restaurant. A display of local produce from a fresh market of Phuket Town. Photo credit: Angie Thien. 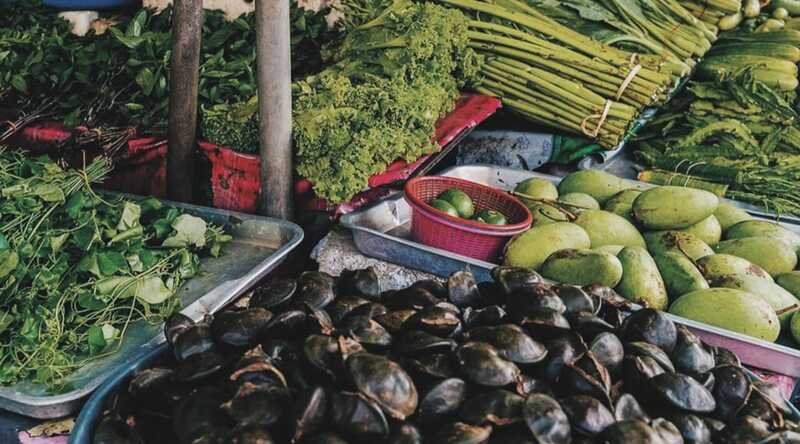 To see a wide variety of Phuket’s fruits, vegetables and seafood, head to Downtown Market on Ranong Road. This is one of the oldest markets in Phuket, with vendors set up in an open-air space amidst colonial-style buildings. Located on the same street is Phuket Central Market, a more modern building favoured by locals for its large selection. The Phuket Abalone Farm cultivates the Haliotis Diversicolor breed of abalone that originates from Okinawa, Japan. To book a visit, contact (+66) 84-847-5744 (Thai), (+66) 63-036-0447 (English), or (http://www.phuketabalone.com/). Growing sustainable and organic produce with crop rotation, Pru Jumpa Farm provides PRU Restaurant with much of their produce. The farm is only available for visit by invitation. For more information contact +66 (0)76 310 100, or visit (http://prurestaurant.com/our-farm/). 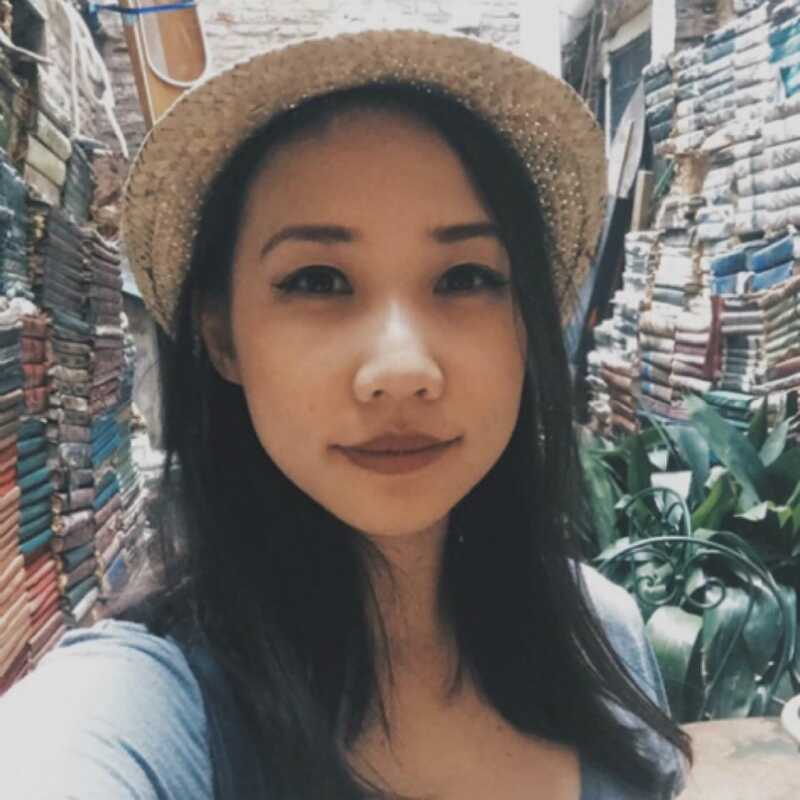 Angie Thien is a Digital Feature Contributor at Michelin Guide Bangkok and has experience writing and editing for leading publications. She takes every opportunity to explore new places, often planning her trips entirely around where to eat and what’s in season.